Chronic fatigue syndrome is a medical condition extending on the long term, is primarily characterized by a state of intense tiredness. Identifying the symptoms and potential triggers can guide one towards the diagnosis, as well as be useful in formulating a treatment plan. CareClinic is an online tool which allows you to record valuable information about your condition. 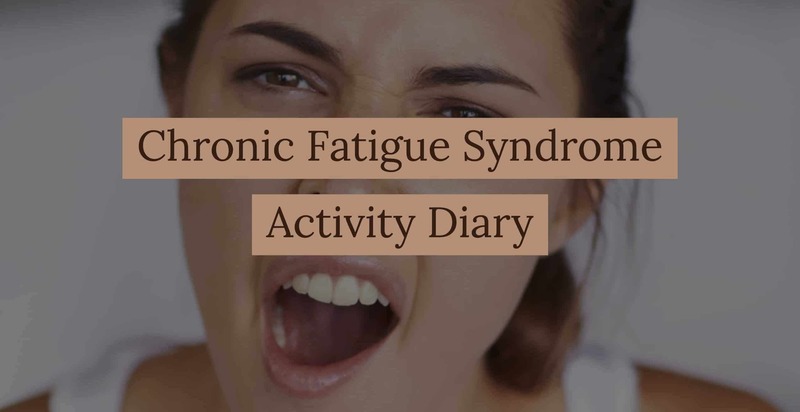 The chronic fatigue syndrome daily diary can help you find out important facts about current manifestations, as well as concentrate on the best intervention strategies. It offers a modern alternative to a regular journal, being easy to access and draw information from. It is a known fact that chronic fatigue syndrome is characterized by a multitude of symptoms, including sleeping disturbance, unexplained muscle/joint pain, headaches, sore throat, and heart palpitations. Moreover, these symptoms can vary from one day to the other, making it difficult for anyone to form an accurate diagnosis. Thanks to this online tracking tool, you will be able to notice a pattern in your manifestations. For example, you might observe that there are certain days in which you will feel absolutely fine, only to be followed by days when physical symptoms are present. You might also see that there are days in which you feel good from a physical point of view, only to present concentration difficulties. Due to the fluctuations in your manifestations, the physician might need a longer period of time to provide an accurate diagnosis or fail to provide one altogether. You can use CareClinic as your chronic fatigue diary and transmit the observations drawn from it to your physician. Why should I consider keeping a symptom journal? It is clear that the online diary offered by CareClinic can be of great help. Not only you will be able to keep track of how you are feeling but, at the same time, you will notice the connection between diverse manifestations and your daily activities. You can identify behavioral patterns and triggers of various symptoms, reaching more optimal treatment solutions. Upon using CareClinic to record your symptoms, you will see that there are certain activities favoring their appearance. For instance, you might experience a state of intense tiredness the next day after a big shopping trip. Or, you might not even be aware of the fact that flare-ups can be connected to the menstrual cycle. As you will also record meal-related information, you will be able to see how your diet influences your condition (feel better or worse after eating certain foods). The fatigue tracker app of CareClinic can be useful in identifying all of these things, many of which can be missed throughout the daily routine. You will be able to determine the symptoms that are most common, and which one(s) bother you the most. Moreover, you will be able to further transmit these observations to your doctor. Why it is important to share the information from the online diary with your doctor? Because it offers a more comprehensive view of what you are feeling. Otherwise, when you go to the doctor, you will have the tendency to talk about the manifestations bothering you on that occasion. In fact, many people complain of pain upon visiting the doctor, without realizing that this symptom is often made worse by stress, exhaustion and other similar factors. In using the CareClinic diary tool, you will notice that pain was actually present less often than exhaustion. Knowing the most common symptoms and their intensity, as well as frequency, you will be much closer to a correct diagnosis and adequate treatment. The tracker application can help you decide on which lifestyle changes you should be making. As you will identify a behavioral pattern and become more aware of potential triggers, it will be easier to plan your schedule (predictability can greatly improve your functionality but do not make it your top priority). What matters is that you have an online tool that can be useful in familiarizing yourself with the symptoms associated with chronic fatigue syndrome. You can even print out the list of symptoms, referring to it when you are not connected to the Internet. Upon noticing new symptoms, you can return to the CareClinic app and add these as well. It is possible that these symptoms might be related to another condition, one that overlaps with the CFS. In this situation, the physician might need to readjust your treatment plan. The CareClinic diary & fatigue tracker app is more useful than you might think but you have to use it wisely. Keep things simple and enter your symptoms in an objective manner, without letting your emotions get in the way. You might find it difficult but it is a good thing to record what you are feeling during flare-ups or periods of intense tiredness. This effort can provide valuable insight into your condition and guide the treatment in a new, perhaps better direction. 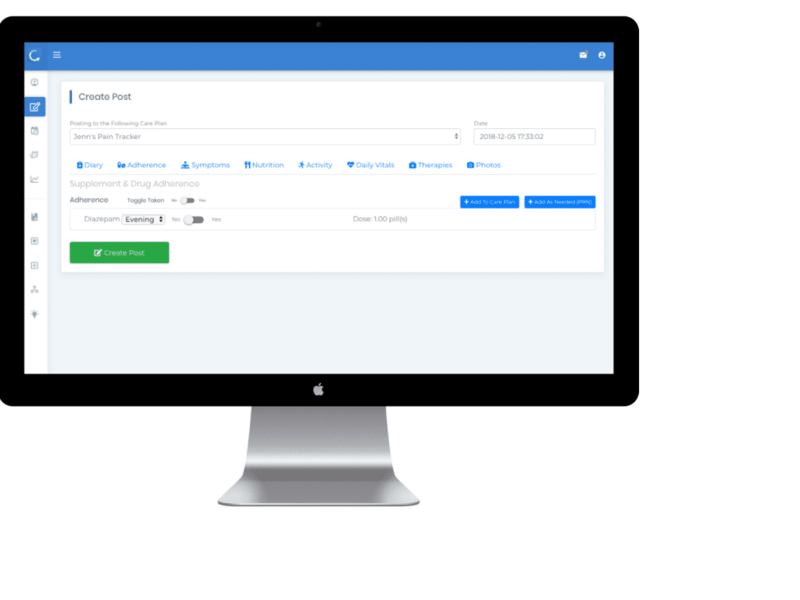 The great thing about using this online tool is that you can customize it to perfection, recording all the information that is relevant to you and any treating specialist. Of course, you can log the symptoms once or several times per day, depending on your needs. You can list the symptoms and also rate how severe/frequent they are. As you will list symptoms, you will begin to notice that some have a bigger impact on your daily living activities. Moreover, you will see that symptoms can actually interact with one another, influencing your overall quality of life. Upon documenting any changes in your condition, you will get a better idea of how you are feeling and which measures have to be taken. It is important to know that the application can be used to track other information. For example, you can log the number of hours of sleep per night, types and frequency of physical exercise, current diet and so on. You can even enter information about tiredness levels and which activities cause you to feel more tired (running errands, housework, socializing). Last, but not least, you can track emotional symptoms, such as stress, anxiety and distress. There is another reason for which you should consider using the CareClinic tracker for your condition. You can use it to see the connection between your manifestations, different activities in which you are involved and associated energy levels. Do not hesitate to enter the symptoms as often as you want, as this can only help you get a better idea of your status. Suffering from chronic fatigue syndrome, you might be struggling to understand your manifestations and decide on the best treatment. The same states can be experienced by your physician, especially if your symptomatology is not that clear. Often times, the detailed descriptions provided by the patients, and recorded by them in one way or another, guide the doctors in reaching the accurate diagnosis. You can share the chronic fatigue syndrome daily diary with your physician. Together, you will discover that there are good days, which are favored by certain factors or activities. You should record those days and do the same for the days which are less positive, defined by flare-ups. The diary can be used to identify food triggers, which can make the manifestations of CFS worse. You should highlight the days you ate certain types of foods and see if bad days have followed at a short period of time. Even though this might seem like a complex and never-ending process at first, soon as you will become accustomed to it. Moreover, as you will identify triggers for your symptoms, you will find it to be a valuable tool for your treatment plan. While the CareClinic online chronic fatigue diary can be used to record all of the above-mentioned information and guide the treatment, you should not hesitate to keep a regular journal online. This should contain information about your life, about the emotions you are experiencing. Writing about difficult moments can provide stress relief and help you feel better about your condition. A journal can be a trusted friend, allowing you to record the moments worth remembering but also less-than-pleasant situations, often resulting from you living with a chronic condition. You should not be afraid to write about the things you are feeling; even though it might be hard at first, soon as you will rely on the journal for stress relief. Living with a chronic condition has a definite impact on the quality of life but it is important to remember that you are not defined by CFS. The journal can be shared, if you want, with family members and close family friends. Once again, you might have difficulties opening your heart but it will be worth it, as you will help them gain a better grasp on your situation. To get started managing your health, click here to signup to CareClinic.